Rotates 360 degree and non-slip fine felt base. Sturdy metal construction and wire frame with chrome finish to suit today's modern kitchen lifestyle. 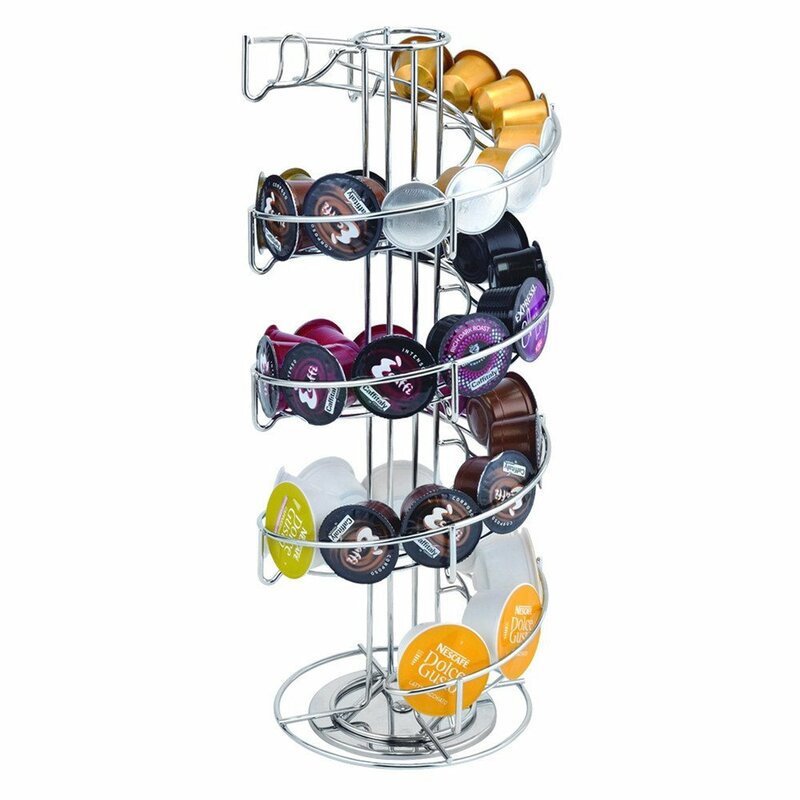 New compact design for decorative and indoor use, ideal for storing pods neatly within your kitchen; keeps all pods in sight & work surfaces clutter free,saves space.coffee pods not included.